Warm and sunny, bright and spectacular... Spain welcomes visitors from all over Europe and the whole world to spend a couple of days in bliss! 8Rental chauffeur service, meanwhile, suggests booking a premium vehicle with a professional driver to make your acquaintance with this remarkable country utmost comfortable and enjoyable! Only here, at 8Rental car supplier you can hire the most luxury sedans by such prominent auto brands as BMW, Mercedes, Toyota, Audi, etc. ; impressively equipped minivans; capacious coaches; and exquisite limousines. The best conditions of hiring a car in Europe are provided particularly by 8Rental! Check out all the advantageous features you will be provided with by cooperating with 8Rental. Are you traveling alone in Spain? Would you like to get the utmost from your visit to this magnificent country? 8Rental respectable car rental with driver offers to rent a chauffeur-driven car in Spain on the most profitable basis. The service has enriched its fleet with fantastic cars to anyone's taste! For clients who have strictly limited budgets to afford standard cars, 8Rental can offer a Skoda Octavia. This car is powered with elegant interior, climate control, heated seats, premium audio system, safety system and a series of other amenities. However, if you are used to driving in more premium models, why won't you book a BMW 5, a Mercedes E class or Audi A6 car? These are included in the business class cars' list designed especially for those who are in Spain on business. First class cars (Audi A8, BMW 7, Mercedes S class, etc. ), meanwhile, will be great for unique clients who accept nothing but luxury! Depending on your preferences, as well as your budget, 8Rental invites you to its official website to choose the most appropriate car! 8Rental has such minivans presented to its clients' attention as Mercedes Viano, Mercedes V class, Mercedes Sprinter and some other similar models. Which to choose, depends on the number of travelers you are with. In case there are only up to eight of you, there is no sense in booking a Mercedes Sprinter as this van is designed to accommodate up to twenty-four passengers. For smaller groups, the first two models will be great! Hire a chauffeur-driven van in Spain from 8Rental and make your journey a real adventure! 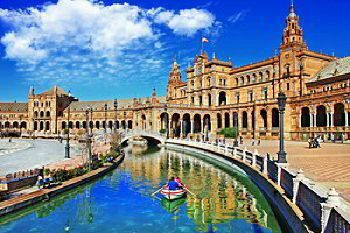 Annually around seventy million tourists visit Spain. For transporting large groups of tourists safely, 8Rental can provide you with large Mercedes Tourismo coaches. These buses are made to transport up to sixty-five people at the same time. Hiring one for you guests, you will be provided with such amenities as a toilet, a fridge, TV (optional), CD/DVD player with a large screen, aircraft-style reclining seats, air conditioning, air suspension, hot drinks facility, etc. Rent this chauffeur-driven bus in Spain and amaze your tourists with high-level transportation. 8Rental has such luxury limos in its fleet as a Chrysler c300, Lincoln Town Car Limo, Hummer H2 and a Cadillac Escalade. The first two models will accommodate only up to nine persons, yet the other two limousines are remarkably larger - can drive nineteen passengers. All these vehicles are equipped with comfy seats, premium sound system, fantastic interiors, individual zone climate control, and other specs. Rent a limo with driver in Spain and make your transportation in any city of this country a fairy tale! 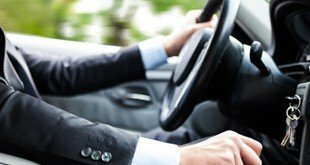 Relying transportation in Spain on an 8Rental driver, you are getting yourself into safe hands. Our chauffeurs are those professionals all other European car rental services would only dream to have. They are licensed, have years of practice in the field of transporting passengers, are responsible and dependable. Additionally, we have employed not only Spanish speaking drivers but also those who master English, French, Russian, Dutch, German. Select the chauffeur which best meets your requirements. They will drive you any direction as they are well aware of all the roads in the city they are working. Do you think dependable chauffeurs and premium vehicles are all that 8Rental has to offer you? No way! We are a generous service and have some extras especially for you! We are sure you will like them. 8Rental car rental service supplies all its clients with free fuel regardless the length of the tours they are ordering. Besides, every client and every passenger who will be driven in our vehicles will be provided with medical insurance in case of an accident. Anyway, you needn't worry, as our chauffeurs are skillful and careful drivers. Another advantage 8Rental suggests to make use of is meeting you right in the airport. We shall send the vehicle you rent to such airports as Alicante-Elche, Malaga-Costa Del Sol, Barcelona-El Prat, Adolfo Suárez Madrid-Barajas, Tenerife South, Gran Canaria, Ibiza, and others. Spain is one of the most fabulous countries in Europe! The warmth of both the season and local people is what you will notice the first. Yet, the rich architecture is able to amaze and astonish any tourist from any country from this huge world, as well. Spain is located in the southwestern Europe and borders on France, Portugal, Andorra, as well as Gibraltar. Renting a car in one of Spain's cities let it be Barcelona, Madrid, Seville, Granada, or Valencia, you can enjoy traveling from one tourist attraction place to another in complete comfort and safety. Discover the country's treasures, as besides Casa Batlló, Museo Nacional Del Prado, Alhambra, Buen Retiro Park, Thyssen-Bornemisza Museum, there are plenty of others worth visiting!